DiggyMinecraft - Vanilla Minecraft Server: Coming Soon - The Vault! 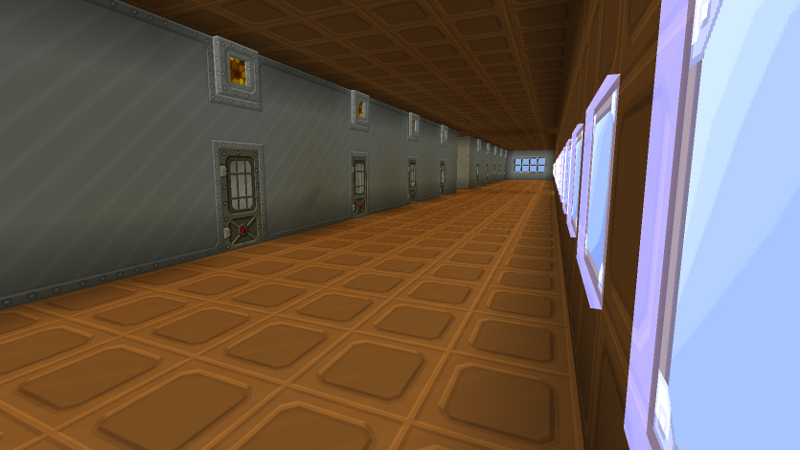 Coming Soon - The Vault! The Vault was built for the same reason we built VIP Island, maps have a habit of corrupting after prolonged periods of heavy use so it's pretty much certain that as some point we'll need to reset the map, like VIP Island The Vault is in it's own small world (60x60) and would not be affected by the main map resetting. The Vault may not be as pretty as VIP Island but it can accommodate far more players, with 10 floors which each consist of 20 rooms, giving storage for 200 players in total! 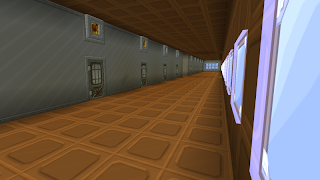 The floors are colour coded with lamps to make it easier to remember where your room in The Vault is located, like VIP Island you won't have build rights but the door will be locked for you when you're assigned a room. 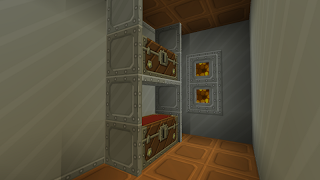 The rooms provide you with 2 standard double chests, giving you 108 slots of storage space in total. 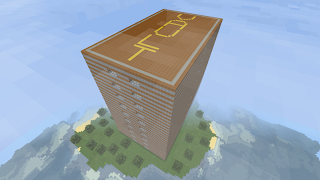 Walls are two blocks thick and the whole building is designed in a way that should minimise the risk of griefing & theft, standard chests are used so that everything is completely trackable using CoreProtect. Rooms in The Vault will be available to players of Member rank or above, however the contents will normally be removed and the room reallocated if a player does not log in for 30 days. The Vault portal will open next week (18th/19th July) and rooms will be available from then, to get a room you'll need to contact DiggyWig or DigginChickin once The Vault is open.